John Edward "Jed" York (born c. 1980) is an American sports executive, the son of Denise DeBartolo York and John York. He is the CEO of the San Francisco 49ers NFL franchise. He is also the nephew of former San Francisco 49ers owner Edward J. DeBartolo Jr.
Born and raised in Youngstown, Ohio, York attended St. Charles Elementary School and Cardinal Mooney High School. While in high school he was a baseball team captain and the senior class president. He graduated from the University of Notre Dame with a BA in Finance and History. York began his working days as a financial analyst for Guggenheim Partners at their New York City offices but left after approximately a year. After he quit his first job, York's parents brought him into their family owned team, the San Francisco 49ers, as the Director of Strategic Planning and later promoted their son to Vice President of Strategic Planning. On December 28, 2008, Jed was appointed by his father to become president of the 49ers. While Jed is the operating head of the franchise, his mother Denise is the principal owner, and both of his parents, as co-chairmen, are responsible for providing resources and maintain their role of interacting with other owners and NFL executives. On October 11, 2010, with the 49ers off to an 0-5 start, Jed York wrote to ESPN's Adam Schefter that the 49ers would win their division and make the playoffs. This proclamation led ESPN columnist David Fleming to refer to York as "kooky" and "goofy" and to note that York "backs up such bold declarations with a long list of qualifications starting with (1) his lifelong love of the 49ers, (2) his prestigious high school baseball career and (3) the fact that his godfather is Eddie DeBartolo." However, the 49ers did come within one game of backing up York's assertion. In 2011, the Niners finished the season 13-3 with the 2nd seed in the National Football Conference. In the divisional round, the Niners defeated the New Orleans Saints. The 49ers then hosted the NFC Championship game against the New York Giants, eventually losing, 20-17. The success of the 2011 San Francisco 49ers was with much of the same team from 2010, but largely accomplished with the key addition of first-year head coach Jim Harbaugh. 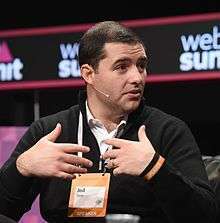 In 2012, Jed York was replaced by Gideon Yu as Team President, although he retained the title of CEO. After a 19-3 loss to the Seattle Seahawks on November 27, 2014, York tweeted “Thank you 49ers faithful for coming out strong tonight. This performance wasn’t acceptable. I apologize for that.” This public statement sparked a media frenzy about York's intent behind the Tweet and whether he was specifically referring to Coach Jim Harbaugh's future. After the decision to fire head coach Jim Harbaugh, there was a large negative outcry from the media and the 49ers fan base. Commenting on York's ability to manage the critical relationship between the general manager and the head coach, Michael Rosenberg wrote in Sports Illustrated, "he failed completely." Rosenberg also described York's impact on the broader 49ers organization, noting that "York has created a culture that encourages selfishness, weakness and back-stabbing." Throughout the season, there were numerous leaks to the media from within the 49ers organization criticizing Coach Harbaugh. San Jose Mercury News columnist Tim Kawakami noted "York and [General Manager, Trent] Baalke were the primary sources for the off-the-record disclosures that undercut Harbaugh’s tenure." It has been reported that York and Harbaugh had a clash in the personality department. The animosity between the two was exacerbated by an alleged clash between them midway through the 2014 season when York supposedly walked uninvited into a meeting Harbaugh was holding with the players. When Harbaugh noticed York slinking into the meeting, he allegedly told York that the meeting was for "men only". Jed replaced former head coach Jim Harbaugh with Jim Tomsula, and supported the change comparing it to the Golden State Warriors firing Mark Jackson and replacing him with Steve Kerr. San Jose Mercury News columnist Tim Kawakami criticized Jed's Kerr comparison in an article titled "49ers' Jed York clueless in comparing Tomsula to Warriors' Kerr." Tomsula lasted one season, leading the 49ers to a 5-11 record before being fired on Jan. 3, 2016. 1 2 3 4 5 6 "Jed York". San Francisco 49ers. Archived from the original on August 29, 2012. Retrieved 2009-07-04. ↑ "Staff page on 49ers website". 49ers Website. 1 2 Killion, Ann. "Young Jed York is growing into his role as face of 49ers". San Jose Mercury News. Retrieved 2009-07-04. ↑ Matt Maiocco. "Jed York Named Team President". Press Democrat. Retrieved 2009-07-04. ↑ Adam Schefter. "Jed York: 49ers Will Win NFC West". ESPN. Retrieved 2010-10-25. ↑ David Fleming. "49ers' Jed-eye Knight Sees All". ESPN. Retrieved 2010-10-25. ↑ "49ers extend Baalke's deal". CSN Bay Area. February 10, 2012. Retrieved 2012-02-11. ↑ "Jed York Tweet". Twitter. November 27, 2014. ↑ "49ers owner Jed York deserves blame for team's fissures, Harbaugh's exit". Sports Illustrated. December 29, 2014. ↑ "Jim Harbaugh's soulful 49ers exit". San Jose Mercury News. December 28, 2014. ↑ Goldstein, Eric (June 8, 2015). "Just a fantastic story about how much Jim Harbaugh hated 49ers CEO Jed York". Sportgrid. Sportsgrid. Retrieved 2015-10-21. ↑ Jared Dubin. "49ers CEO Jed York compares Jim Tomsula hiring to Steve Kerr". CBSSports.com. Retrieved 2015-10-05. ↑ Kawakami, Tim (July 22, 2015). "49ers' Jed York clueless in comparing Tomsula to Warriors' Kerr". San Jose Mercury News. Retrieved October 13, 2015. ↑ Mariotti, Jay (August 9, 2015). "www.sfexaminer.com". Mom and dad, please fire Jed. San Francisco Examiner. Retrieved October 20, 2015.